The blog has been quiet this year, but that is because we have been so busy with everything! It feels like we are getting somewhere occasionally. 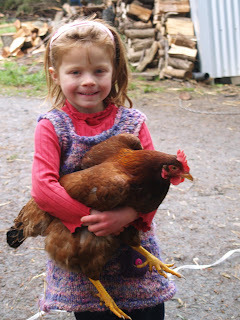 Lots of work to reach our goals of self sufficiency. 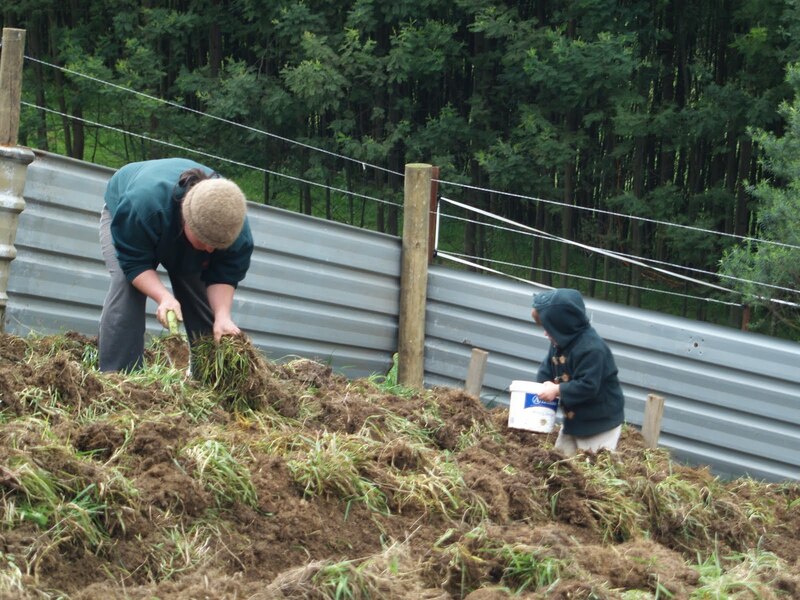 This week the kids and I planted out our potatoe patch - approximately 80sqm. 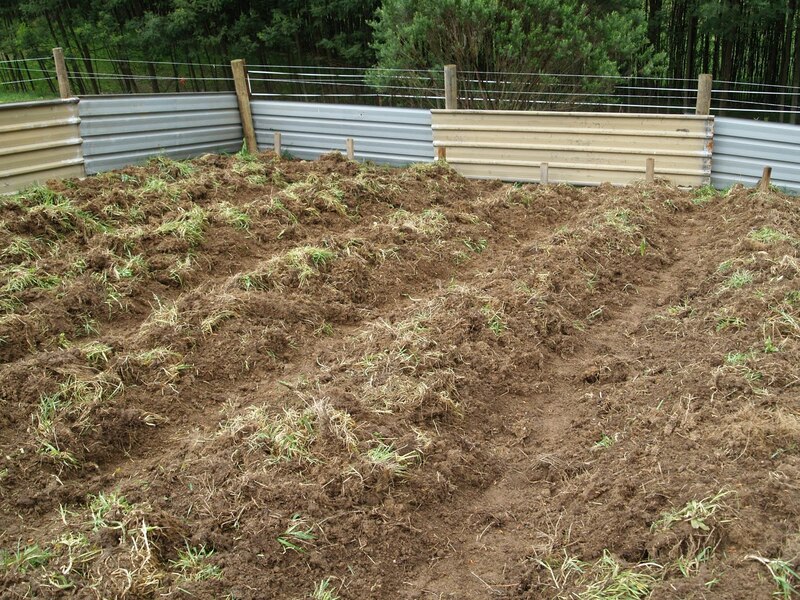 I have been spending a bit of time each day turning over the soil, then chopping up the sod with a hoe and hilling up the soil into rows. 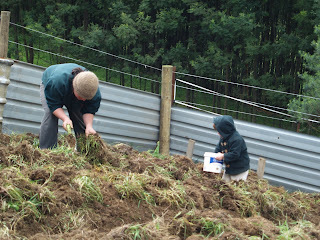 Then the fun but back-breaking job of planting out the seed potatoes and backfilling. 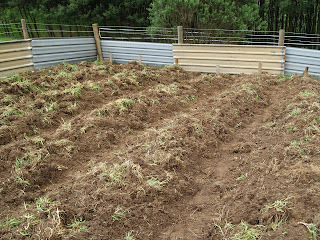 Now I just have to mulch with the old bedding from the goat shed and I can take a quick breath before the spring vegies have to be propagated!!! Spring is most definately here now. Hardly a drop of rain this month, which coincides with the arrival of a new water tank!!! 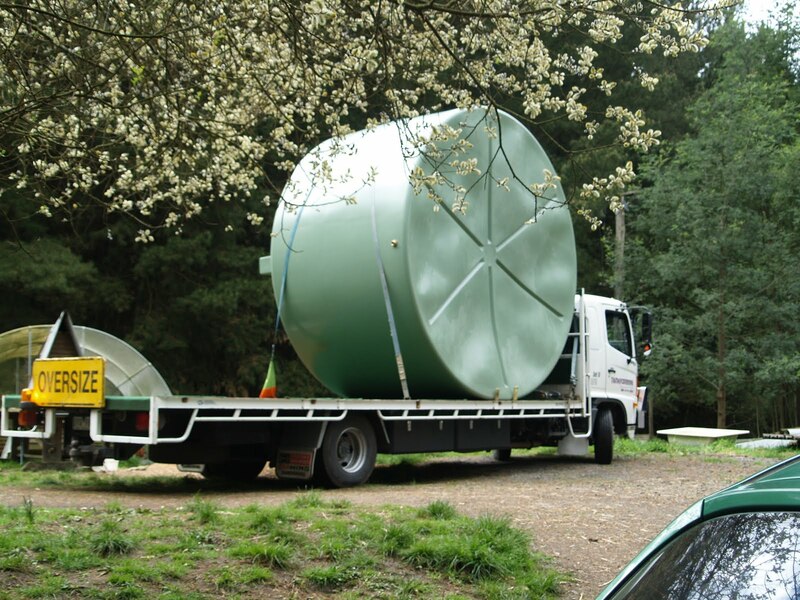 We thought we would add more storage to our fairly modest 22,500L tank that is our domestic, garden and stock water supply! The chooks all think its spring too, as they have been very busy laying eggs for us, so its nice to have plenty to enjoy and use in baking. This year I'm planning on baking a few rich fruit cakes to put away to enjoy in the winter when eggs are scarce and not available for baking cakes. Fruit cakes keep for ages if wrapped up and kept in a dark pantry. I'm about to start all our summer vegies this week, all the tomatoes, pumpkins, zuchinni, cucumbers etc. And then the REALLY busy time begins!